As any parent knows, when you get a bunch of kids together, somebody’s going to get sick. It’s why teachers have to be so careful to wash their hands. It’s why paediatric waiting rooms are places that parents fear to tread. And it’s why it’s so important to take preventative measures if your child ever goes to daycare. By keeping up these simple steps, you can keep illness at bay and make sure that daycare remains a safe and happy place for your kids to spend some time. Here are the best steps for healthy days during childcare. 1. Be Conscious of the Most Difficult Times. If you have small children (infants or toddlers) who are entering childcare for the first time, their little immune systems are going to be exposed to a new environment and lots of other children all at once. The same is true for kids re-entering childcare after a long break, like summer vacation. Adaptation takes time, and that goes for your kids’ immune systems as well. The following steps are of special importance during these times. 2. Keep Up With Vaccines, Flu Shots, and Immunizations. With all the anti-vaccine hullabaloo of the past few years, you could be forgiven for thinking twice before getting these shots for your little child. But countless studies and the resurgence of near-extinct infections like Measles remind us that vaccines are safe and important to childhood health. So make sure that your child’s vaccination schedule is followed to the tee, and inform your paediatrician that your child will be entering childcare. If your daycare is equipped with a system like Sky Child Care, they can help you keep track by setting up auto-reminders for health requirements and medical records. You can also have the peace of mind knowing that they’re providing this for other kids in their service as well; if they’re helping you keep up with this schedule, they’re keeping everyone up to date. 3. Make Sure Your Kids Understand Playing with Others. 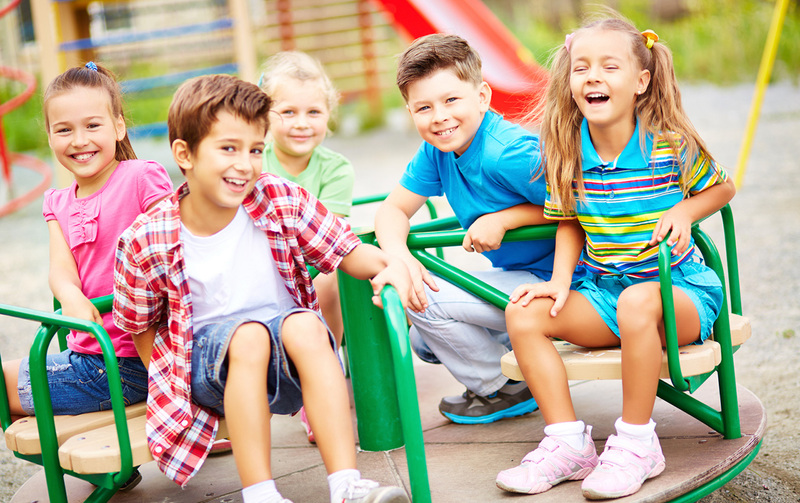 Kids in daycare facilities come from a variety of backgrounds, with different standards of obedience and parenting. As such, there are bound to be scuffles and misunderstandings between children. As much as is possible, make sure that your kids understand this. That way they’ll know not to play too rough, not to call names, and to make room for sharing and cooperation with kids that might be a little different than them. This can cut way down on the scrapes and bruises that sometimes happen during roughhousing or arguments. Good daycare know how to cut down on this anyway, but it’s a good idea to give your kids this talk before they ever go into daycare.